3dcart is the all-in-one ecommerce solution for retailers to build, promote and grow their online stores. 3dcart's services include the best Technical Support in the industry, 100+ Mobile-Ready Themes featuring the latest technology, order management software, blog, email marketing tools and more. Since 1997, 3dcart has been building online stores for businesses of all sizes. Today, 3dcart is an Inc. 5000 company, a Visa PCI Certified provider and a Google Certified Partner. 3dcart was one of the first ecommerce platforms to hit the market, and for over 18 years, they’ve pioneered the ecommerce industry. Developed by current CEO, Gonzalo Gil, their continued implementation of the latest, most edge-cutting technology has ensured their long-time success in one of the most competitive markets. The 3dcart platform boasts industry-renowned 24/7/365 free technical support and competitive pricing to meet any business’s budget. 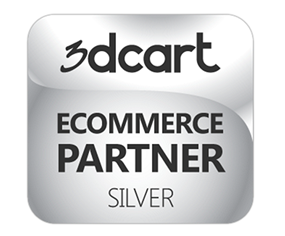 And unlike the majority of their competitors, 3dcart is all about ecommerce evolution. Their development team is dedicated to rolling out frequent updates, often times at the personal request of their merchants. That’s right! 3dcart’s community helps shape the very platform they use, with developers implementing popularly requested features and improvements on a regular basis.